A man has been arrested in a fatal shooting at a Tampa auto detailing shop, police say. Dwayne McGriff, 31, of Tampa, is charged with first-degree murder and being a felon in possession of a firearm. Police say about 11:30 a.m. Wednesday, McGriff rode a bicycle up to Unique Auto Detailing, 2630 E Lake Ave., and shot Dave M. George, 47, in the parking lot. Officers were able to find the bicycle near the scene, but not the suspect. George was taken to a hospital, where he succumbed to his injuries. Detectives were able to identify McGriff as the suspect and a warrant was issued for his arrest. 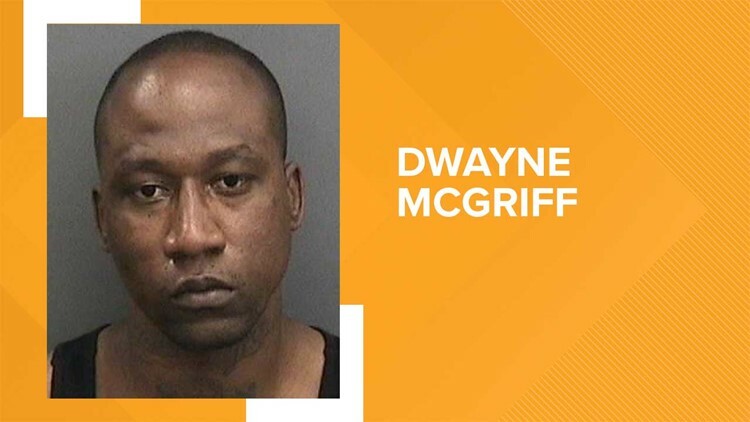 On Friday, McGriff was found in a vehicle at Tampa International Airport's rental car area. He was arrested without incident. The motive for the shooting is unknown, though McGriff and George were known to each other, police said.